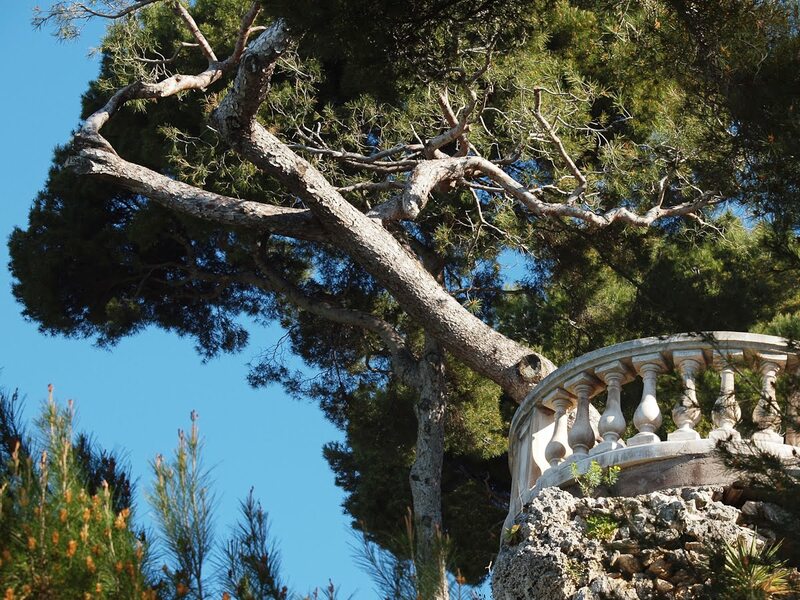 Cap Martin has some of the most beautiful Belle Epoque villas in the south of France. Look way up and we glimpse the balustrades of a garden terrace. Sur le Cap Martin se trouvent quelques-unes des plus admirables villas Belle Epoque du sud de la France. En regardant vers le haut on voit les balustrades d'une terrasse du jardin. I'm trying to imagine just the sort of person who would walk out there and gaze at the view. Great shot. The view from the terrace must be fantastic. It looks like an old world painting from one of the "great" masters. Great shot! But wherefore art Juliet?? ?